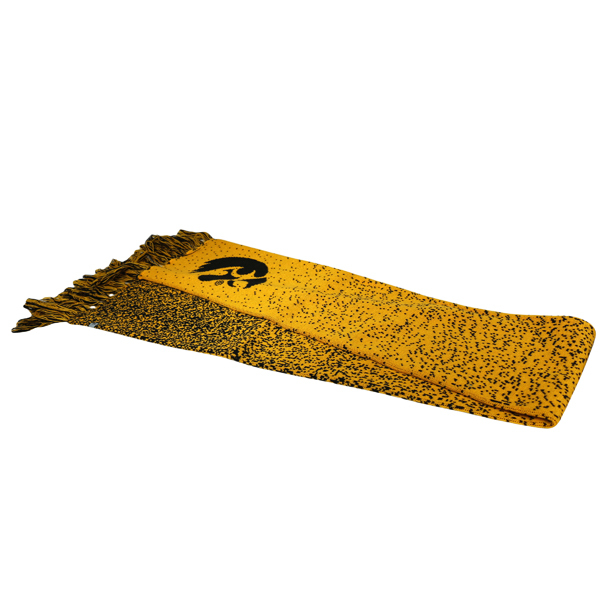 Stay warm in style with the Iowa Hawkeyes Fadeaway Scarf. 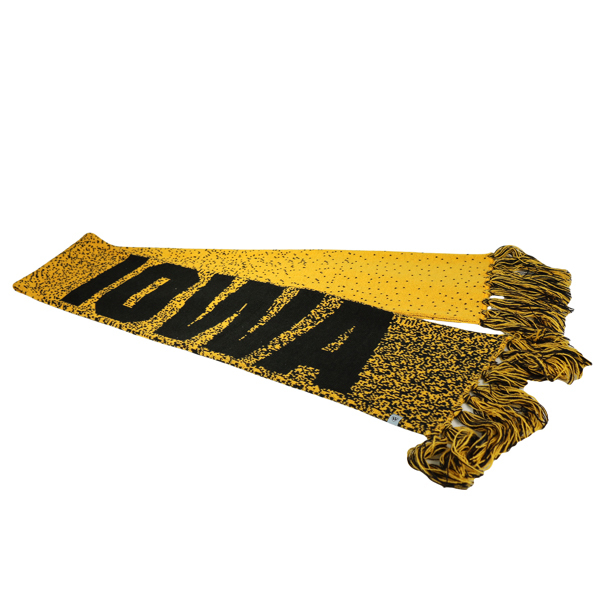 The Iowa Hawkeyes Fadeaway Scarf features the Iowa Hawkeyes logo and "IOWA" in black text on mirroring sides. 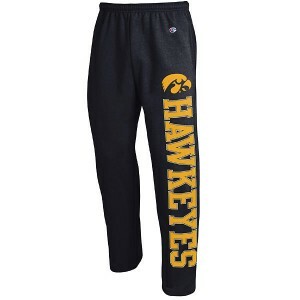 Available in Gold. Made by Top of the World.